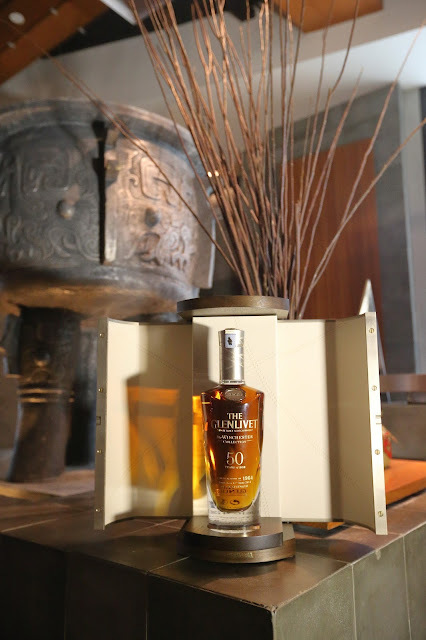 About a month ago, I was thumping my chest and wailing, because I had to decline an invitation to Glenlivet Guardian's special event, whereby I read they were unveiling a 50 Year Old ... of course I didn't read the fine print and thought we might get to have a drop of this precious liquid, but I was greatly relieved, as I followed friends on instagram, to realise that of course, the 50 year old wasn't served. Well, I did weep a little to know that I had missed out on the 25 Year Old Glenlivet. 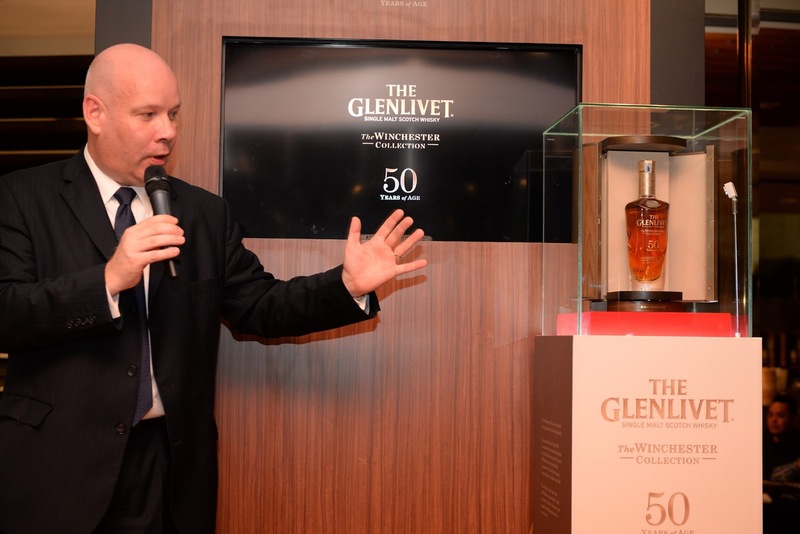 A BOTTLE OF THE GLENLIVET SINGLE MALT WHISKY SOLD FOR A RECORD BREAKING RM96,000. Kuala Lumpur, 14 June 2015: History was made on 12 June 2015 by The Glenlivet for clocking in the highest price ever paid for a single bottle of single malt whisky in Malaysia at a price tag of RM96,000. The Glenlivet Winchester Collection is a series of 50 Year Old single malt Scotch whiskies, which will be released over the next few years, starting with Vintage 1964 in 2014. Taking its name from current Master Distiller Alan Winchester, this exquisite collection of rare whiskies represents the legacy of a generation of men whose unparalleled craft and skill created this, the rarest of whisky. Bidders had to register as a Guardian on the online bidding site which at the end of the auction, had over 200 registrations. WOW, there are certainly a lot of rich fellas around...!!!! On the dinner table, we looked at our dinner companions and swore we were all hanging out with the wrong people... I want friends who could afford at RM96,000 bottle, shallow as that may sound. And to make things WORSE, the winning bidders all looked so young!!!! Sobs, I have failed in this life. Actually, it wasn't a bad deal if you ask me. 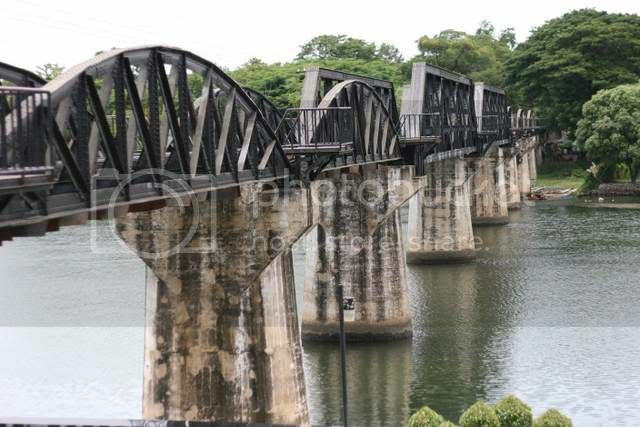 The winning bid gets a trip for two to the distillery of Glenlivet, in Scotland, courtey of Pernod Ricard Malaysia, AND should they wish never to open the bottle, they were given a small bottle of 5 cl for tasting. Just think of the bragging rights!!! 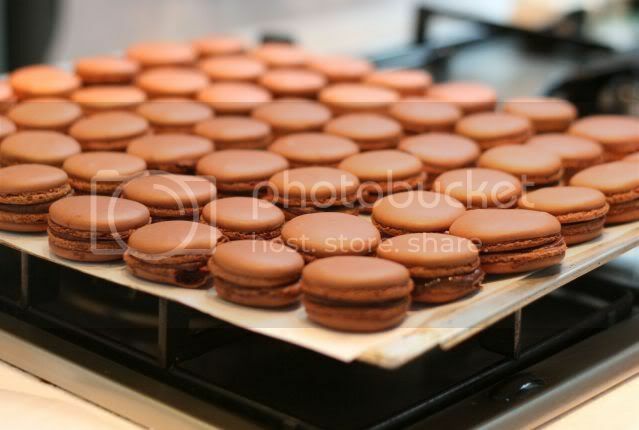 Meanwhile, the ordinary folk were content to have the usual 12, 15 and 18 years, paired with various kinds of food from 5senses at the Westin Kuala Lumpur. Not that I am complaining mind you, I love all the Glenlivets, regardless of age. This is the usual star of the Glenlivet Guardian events, but tonight, this gorgeous 18 Year Old would certainly be upstaged by its older counterparts.. The first course, the herb braised whole abalone, paired with the 12 year. The texture of the abalone was totally unlike what I was accustomed, it was almost soft, and insipid, which was a pity. The second course of steamed black cod, mandarin peel and black bean paste and spring spinach fared a little better, and of course embellised with what seems to be a unanimous favourite, the 15 year Glenlivet. The finale, the Foie Gras and Roast Duck Roulade, paired with the 18 year old, which is usually the highlight, but we were in store for a pleasant surprise. Fortunately the lovely 18 year old made up for the shortcomings of the dish, where the foie gras had been cooked to death...poor duck or goose that died in vain. We may not have gotten to taste the 50 year old, but this 25 Year Old was so so good. Smooth, elegant, floral, strong, truly a masterpiece, and really was the highlight of the evening. This cask of exceptional quality, made of American oak seasoned with Bourbon, has created a symphony of distinctive flavours, full of the signature fruity notes of The Glenlivet, intensified with age. Ripe pears, oranges and black cherries create an intriguing flavour, while smooth, creamy toffee notes give a rich, velvety texture. In the background, hints of caramelised sugar entice the taste buds and endure on the palate, creating the sort of whisky that legends are made of. Acclaimed Scottish glass artists Nichola Burns and Brodie Nairn (GLASSTORM) have created a decanter design, inspired by The Glenlivet’s glorious history. Completing the decanter is a jewel-like stopper, designed by internationally acclaimed silversmith Richard Fox, whose past commissions have included Formula One and Rolls Royce. The design combines precious materials such as rose gold, and is crowned with a ‘Cairngorm Stone’, often known as “The Whisky Stone” as a result of its unique colouring. Completing the craft and expertise for Vintage 1964 is a presentation cabinet designed by award-winning furniture maker, John Galvin. Galvin has applied traditional cabinet-making techniques to a contemporary design, resulting in a beautiful, bespoke piece that will stand the test of time, just like the rare and precious liquid that is housed inside. The Glenlivet is the No. 2 single malt Scotch whisky in the world. Crafted in the remote Livet Valley since 1824, it is the only whisky with the unchallengeable right to be called The Glenlivet. Chivas Brothers is the Scotch whisky and premium gin business of Pernod Ricard - the world's co-leader in wine and spirits. Chivas Brothers is the global leader in luxury Scotch whisky and premium gin. Its portfolio includes Chivas Regal, Ballantine's, Beefeater Gin, The Glenlivet, Royal Salute, Aberlour, Plymouth gin, Longmorn, Scapa, 100 Pipers, Clan Campbell, Something Special and Passport. When I got the invitation to attend a Workshop on Korean Strawberries, the last thing on my mind was making decorative dishes for children who are difficult eaters, as my own brood never have any problem scarfing down any food that is laid before them, as children should. 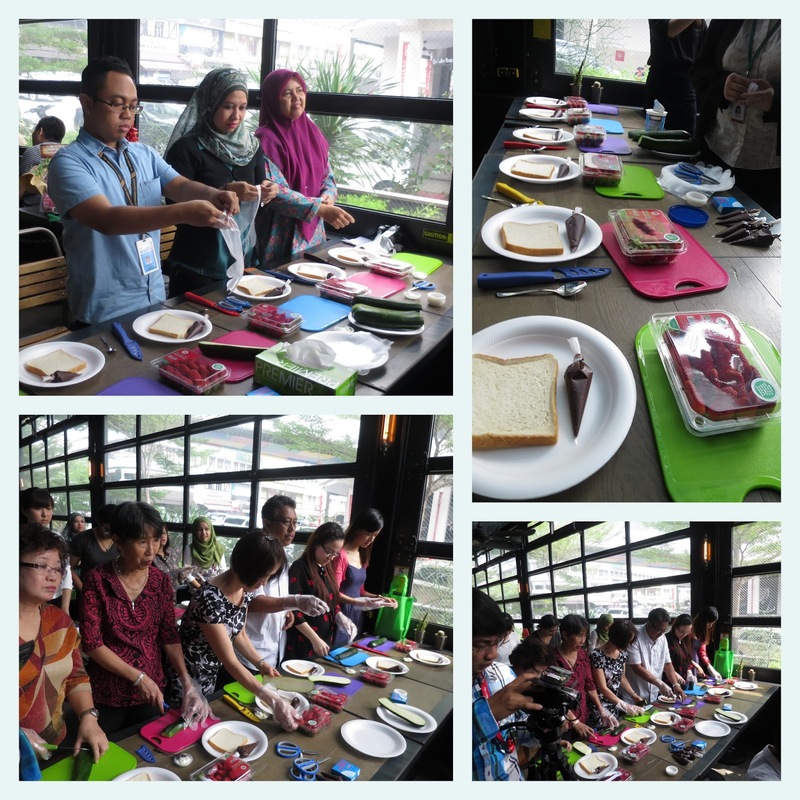 The event was held in Acme South, Bangsar Village, where an area had been cordoned off, and tables converted to workstations complete with piping bags, chocolate, strawberries, chopping boards, and zucchini leaving me rather curious as to the relationship between strawberries and the courgettes. 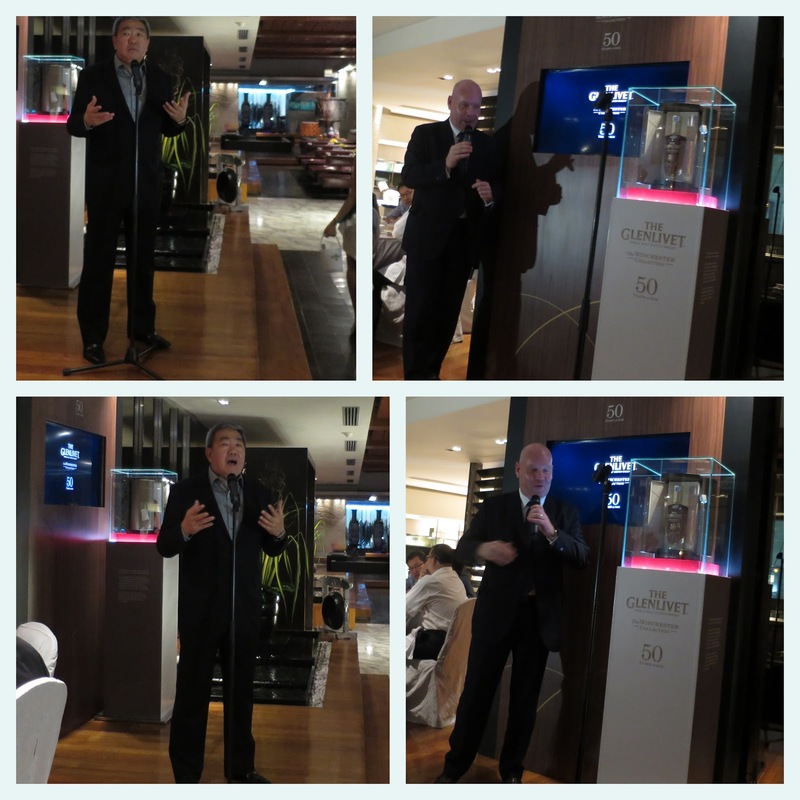 I arrived in time to see the announcement of winners of contest on Maehyang Strawberries from Korea. Maehyang strawberries are the most prized among the fruits, and Jinju in South Korea produces most of them. It is the main strawberry producing region in the country. 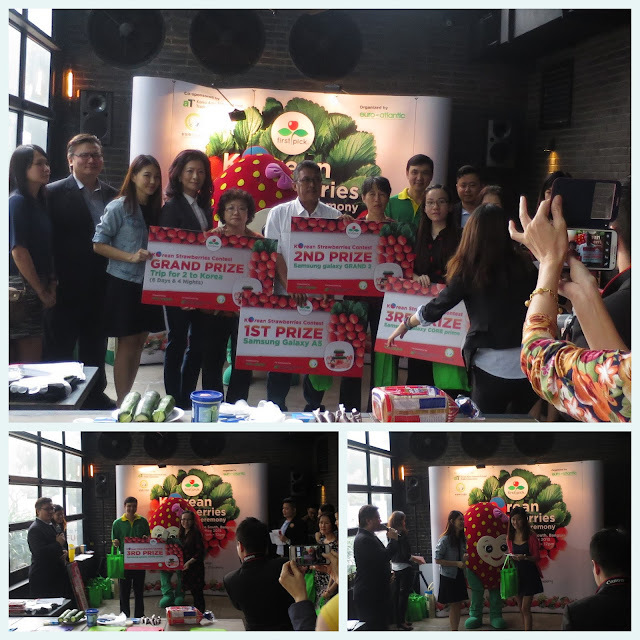 Euro-Atlantic Sdn Bhd organized a nationwide contest for Maehyang strawberries from 2 March to 30 April 2015, during their promotion period. This is the third year it has been doing so, after receiving overwhelming response from consumers of Korean strawberries. 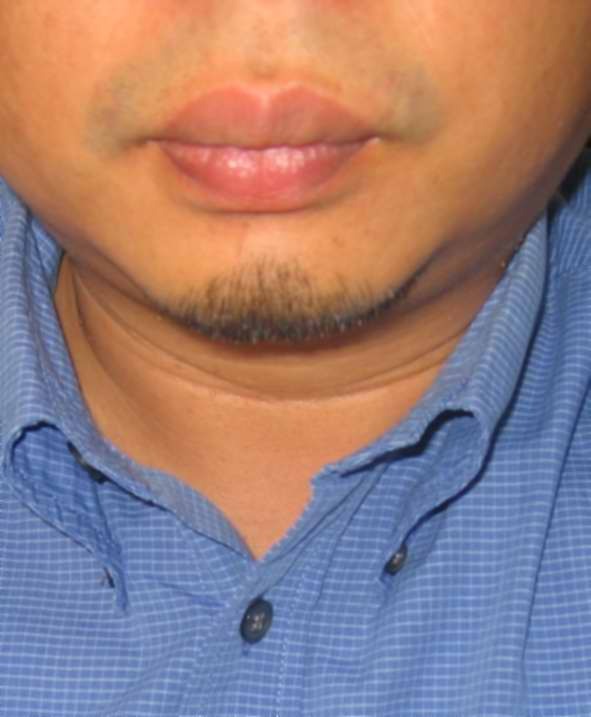 This year, the contest was extended to East Malaysia. The Grand Prize Winner of the contest received a trip for two to Korea for six days and four nights, with Samsung mobile phones for the 1st, 2nd and 3rd prize winners. There were 10 consolation prizes of a Euro-Atlantic Fruit Basket worth RM100 each. Compared with other strawberry varieties, Maehyang strawberries are generally of higher quality but they are more difficult to cultivate. So in South Korea a nickname has been given to them: ‘Noble Strawberries’. Though they are marketed at comparatively higher prices, Maehyang strawberries are very popular with domestic consumers in South Korea as well. Maehyang strawberries have a striking red hue, a shining appearance, and a more conical shape. They have an arresting scent like fruit-flavoured candy compared to the muskier, more earthy scent of other strawberries. The taste is strong and sweet, without lingering on the tongue. They are comparatively less moist and thus crunchier, which suit Malaysia consumers. Korean strawberries are an excellent source of fibre and antioxidants. They help to regulate blood pressure and have anti-inflammatory properties. Today, Maehyang strawberries are seeing a steady rise in demand compared to strawberries from other parts of the world. The Korean strawberries season starts in late November and ends in early May. 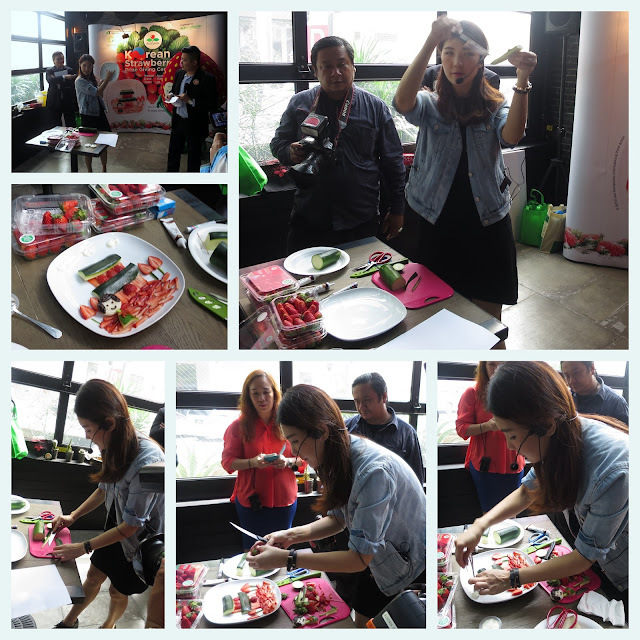 In conjuction with the awards ceremony, there was the food art workshop conducted by well-known international food artist Lee Samantha, who explained that she got into food art to feed her children. My, clearly parenting styles have evolved over the years, in my day, you don't eat, off to bed with you and tough luck. I myself also cannot imagine decorating food for the kids for the sake of getting them to eat. Second Prize Winner is Bak Mei Kiew from Penang. Third Prize Winner is Shein Wen Yee from Kuala Lumpur. Euro-Atlantic Sdn Bhd is a leading importer and distributor of specialty fruits, vegetables and marine produce based in Kuala Lumpur. Euro-Atlantic was the first importer of Korean strawberries 10 years ago and its imports increase 20 to 30 per cent every year. This season Euro-Atlantic’s total importation is 150 tonnes for Korean Strawberries. Strawberries are considered our biggest importation for exotic berries and apart from Korea, we also bring them in from USA, New Zealand, Australia and other countries when they are in season. With over two decades of experience in the industry, Euro-Atlantic has raised the bar in the Malaysian fresh produce import business with its continuous search for new and emerging food sources and heavy investments in state-of-the-art cold rooms and equipment. Since Veuve Clicquot really IS my favourite bubbly, (no offence to the other excellent brands that hail from Champagne, these things are very personal and subjective), I shamelessly solicited an invite from the kind people at MHD and Geometry Global... and double bonus, the event was held at Brasserie Enfin, under the famous James Won, whom I had read so much about, so it promised to be a great afternoon. Located in the trendy Oasis Square which, Brasserie Enfin has a lovely cheerful interior, suited to the bright orange theme that characterises Veuve Cliquot. 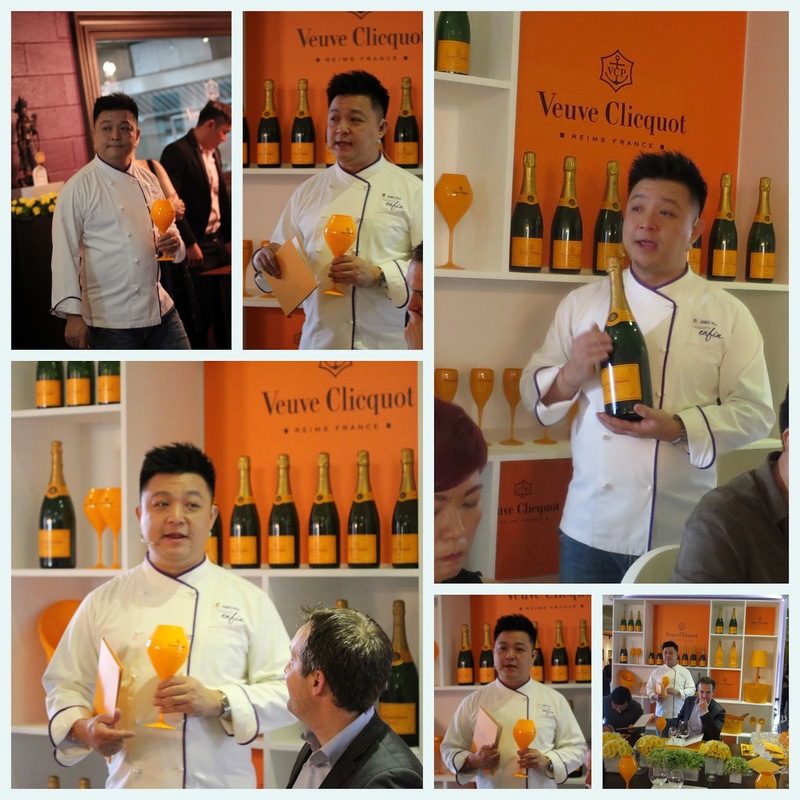 Cute plastic champagne flutes veer away from the traditional sleek and slender crystal flutes, as Veuve seeked to create an atmosphere of casual conviviality, and there is something about the bright oranginess that lightens the spirit...even before the contents does so. And finally, a context to the picture that is on the metal clasp of every Veuve bottle of champagne, Madame Clicquot herself, the first French lady entrepreneur and business woman, according to Wine Maker Pierre Casenave. 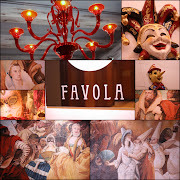 The menu sounded scintillating, and we eagerly awaited the arrival of the food to pair with that glorious stream of bubbles, which in the afternoon, and on and empty stomach, does have a rather pleasant heady effect. It's not often you get served by the MHD guys themselves I can tell you that!!! Pierre Casenave grew up in the pyrenees atlantiques, renowned for tapas, ferias and rugby. 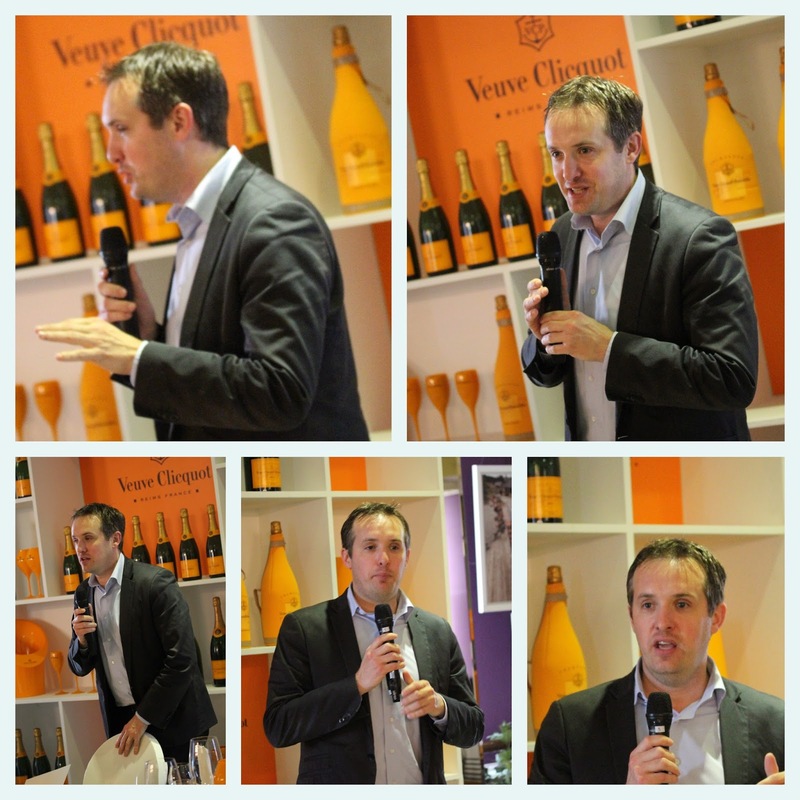 He is an oenologist at the Champagne House Veuve Clicquot in Reims, France since 2008. He has also been wine maker at prestigious wineries in St Emilion, Pomerol, and well as the South African Stellenbosch wine region and in California. To start, an amuse bouche of chicken liver parfait. James explained that he does not use foie gras, (I guess this is quite a divisive issue between chefs), but promised us a treat to the palate with this smooth buttery parfait. Indeed, one morsel of this was not enough, and paired with the Yellow Label, a perfect match. As we ate, Pierre Casenave did enlighten us on some facts about VC... founded in 1772, Veuve Clicquot Ponsardin has stayed true to its motto "Only One Quality, The Finest" and the Maison is effectively the hard work of the exceptional Barbe Nicole Ponsardin, also known as Madame Veuve Clicquot, whose portrait I alluded to earlier. The second entree was the Lamb Eye of Short Loin Carpaccio, confit strawberries, puff cherry, champagne mustard, paired with the gorgeous and elegant Veuve Clicquot Rose. Very interestingly using lamb instead of beef, this rather primal dish is an acquired taste. Whilst there was miraculously absolutely no ovine odour, which I find as I age, I am more averse to, I still feel that the gift of fire to Prometheus was specifically for use on meats...so thankfully I had copious amounts of Rose to wash down that troglodyte rawness. However, if you do like carpaccios, (isn't that the surname of the Titanic guy? Leonardo De Carpaccio? 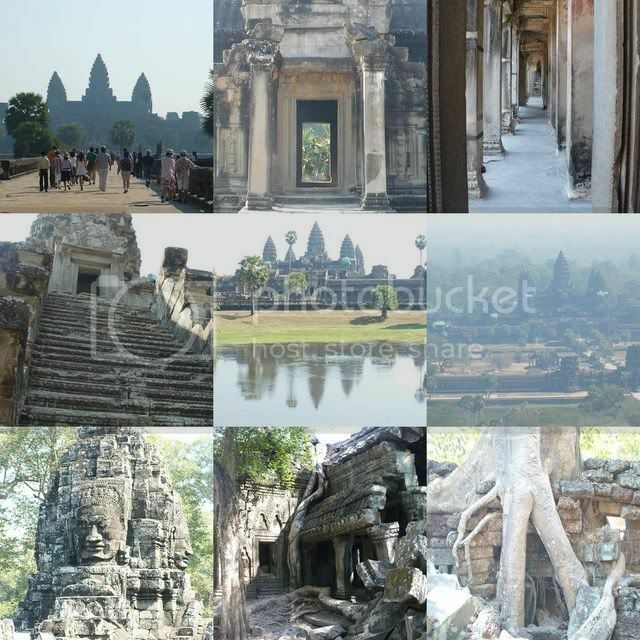 ), then you would LOVE this. And then, we were in for a treat, with the piece de resistance of the day, the Veuve Clicquot La Grande Dame, which till now, I've only ever heard about. Packed in an elegant box, the bottle is not revealed immediately when you open the lid of the box, but instead, it swivels on the internal turntable to reveal the Grande Dame....very dramatic entrance for a bottle of champagne. And as if the Grande Dame wasn't a treat by itself, it was paired with the Trio of Pork Shoulder, Belly and Rib. The pork belly with the crispy crackling was melt in the mouth, literally, with its sublime layers of fat, with perfect fat to meat ratio, (though the more health conscious did not agree), whilst the pork shoulder stuffed in a raviolo ...well, that was a bit too al dente for me, though the pork within was fine. The La Grande Dame 2004 is 61% Pinot Noir, 39% Chardonnay and is an exclusive blend of their 8 historic Grand Curs: Ay, Bouzy, Ambonnay, Verzy, Verzenay, Avise, Oger and Le Mesnilsur -Oger. The luminous body is shimmering gold with amber glints, abundantly effervescent, with elegant fruity notes of white peach and bergamot, with a crisp and silky texture. It really was quite a delightful treat, and the pairing of the La Grande Dame with that Trio of Pork, together with the wonderful ambience of the afternoon made it a winning trifecta. For dessert, Citrus Textures and cloud, ...the dehydrated orange was gorgeous, and the varying textures of citrus were fascinating. Paired with the Yellow Label, it was a wonderful end to a wonderful meal. 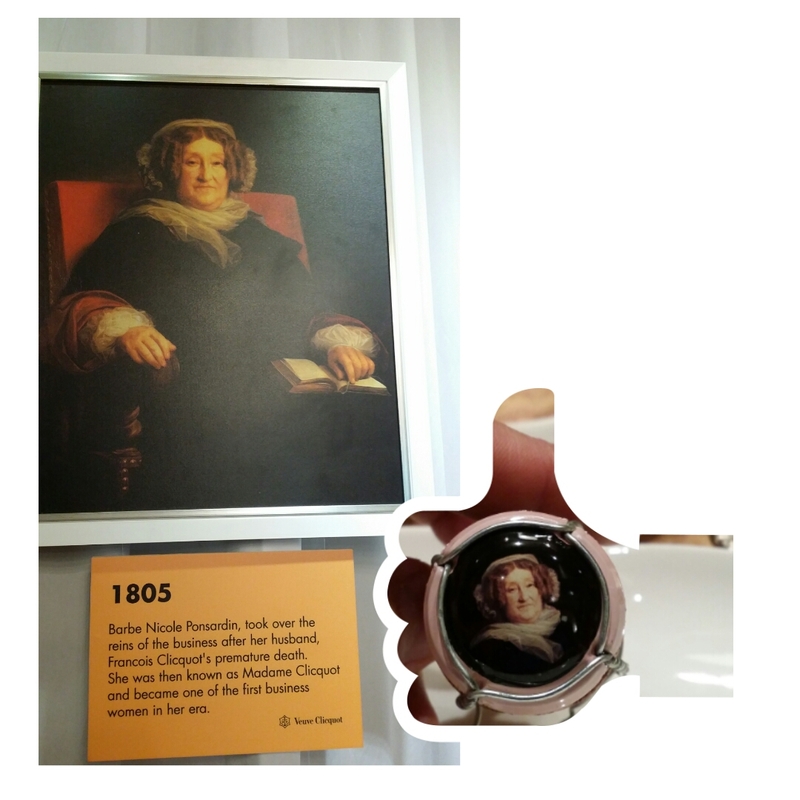 To end, Pierre reminded us that good champagne isn't only a good oparing for any food adventure, but it's also a bond which unites daring, confident and sophisticated individuals ..just like the woman behind this quality and fine champagne, Madame Clicquot.